Microsoft is now rolling out a new Windows 10 Mobile Build 10.0.15047.0 to Fast Ring insiders. 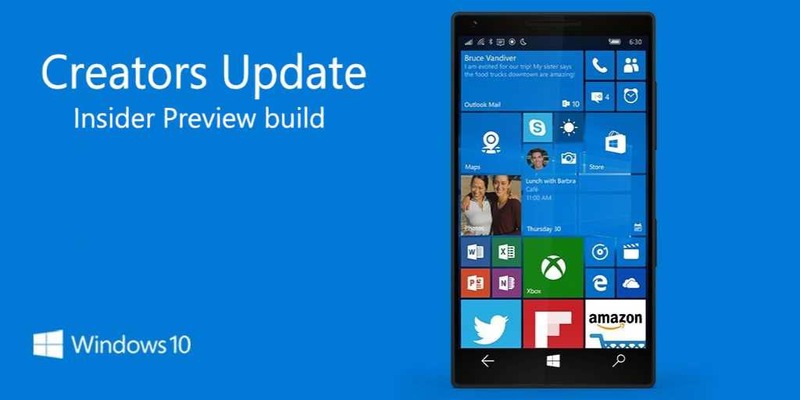 Previously, Windows Insider team released Windows 10 Mobile Build 10.0.15043.0 to insiders. The latest Windows 10 Insider Preview build 15047 (rs2_release) brings bug fixes and other improvements. Check out full details below. Fixed an issue resulting in the play/pause buttons when watching videos in Microsoft Edge taking two taps to work immediately after opening the video full screen. Fixed an issue where the Data Usage page in Settings might be unexpectedly missing info about cellular data usage. Fixed an issue resulting in certain characters on the Polish keyboard not working in Continuum when typing in the Microsoft Edge address bar. Fixed an issue where after some time the -word option might stop appear in the candidate pane for words added to the typing dictionary. Fixed an issue resulting in task switcher being unexpectedly slower to launch in recent flights. Fixed an issue resulting in a flicker on certain devices, such as the Lumia 950, when interacting with the Maps app after rotating the phone into landscape mode. Fixed an issue where dragging the position indicator in the video progress slider in Microsoft Edge would back to 0 upon release. Fixed an issue resulting in notifications from SIM 2 on dual SIM phones not appearing in the Action Center.